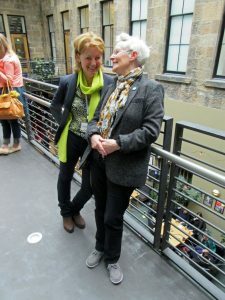 Picture Hooks began five years ago, when literary agent Lucy Juckes and author Vivian French noticed that there wasn’t a programme supporting illustrators. There were lots of courses and opportunities for writers, but nothing for illustrators. They set up a scheme to provide support, through a conference and mentoring scheme, master classes and portfolio surgeries and also to raise the profile of illustration, particularly through an exhibition at the Scottish National Gallery of the mentors’ and mentees’ work. To find out more about the programme head over to this great article from BookBrunch here. If you weren’t able to make it along to this fantastic day, we’ve recapped all the sessions for you! Have a read and be sure to keep an eye out for the details of the 2016 mentoring scheme.